If you want to be a CNA but you are concerned that you will not be able to afford the course, don’t worry as there are a number of CNA financial aid options available for you to make use of in order to successfully complete your studies in this area of healthcare. All it takes is a bit of research and some patience. If you have exhausted all of the federal grant options and not had any luck you should try for a state grant. These grants are, it must be noted, often only given on the understanding that you will work for the state in a state-designated facility for a set period of time once your studies are complete. Private grants come from a number of non-governmental sources. Hospitals, for example, may offer grants to CNAs (often in exchange for work). Private individuals may even enjoy giving opportunities to those who cannot afford it for themselves. As these grants are not standardized you will find that there tend to be a number f different private grant opportunities form state to state and a close analysis of the options in your own state and city will be required in order to decide whether or not this is a viable option for you. Don’t forget to enquire about grants at the financial aid department of the school or healthcare institute where you would like to work. These educational facilities often offer grants and the least you can do is to ask about them. It will certainly be the most reliable form of CNA financial aid as the school will know best how much you will need to cover everything. Go to the Free Application for Federal Student Aid (FAFSA) website. FAFSA is a government organization that is responsible for providing government loans to students who would like to study but cannot afford it. The homepage can be found at http://www.fafsa.ed.gov/. Once on the homepage it is time to create a username and password for the application process. There are instructions on the home page to help you do this. It is in your best interests to fill this in as honestly as possible as this is the form that will determine whether or not you qualify for help form the government as well as how big the loan the government will give can be. If you are dishonest you will be found out and destroy your chances of getting help. You will be given the opportunity to review your FAFSA form. Make sure that everything is correct. DO NOT SKIP THIS STEP. Your chances of getting the aid you need are based on your honesty and the correctness of your application. If necessary follow the direction to go back and make changes to your answers and responses. Submit the form and wait patiently. About a week after you submit the form use the username and password that you created at the beginning of the process and return to the FAFSA website to see what your options are. If you entered information regarding the school where you are training to be a CNA or the school where you would like to train to be a CNA the information may also be sent to the school in questions, depending on what school it is. Review the loan options. Make sure that you get advice form a knowledgeable person when doing this and make sure that you fully understand that repayment options. Apply for the loan and start studying. Firstly you need to open up an internet browser and do a search for accredited online CNA courses or continuing education. It is important that they are accredited as this will make getting a job far easier for you once you have completed your studies. Next you need to check with your state’s board of nursing whether or not the program you are interested in is in fact accredited by that board. Also make sure that the program meets all other requirements as well and that you are well aware of what the specific requirements for your state are so that you can be sure to abide by them. Make sure that you do all of the appropriate research first as you do not want to hurt your chances of success by making a hasty decision. Write up a list of priorities and decide what the most important features of an online course are for you specifically. 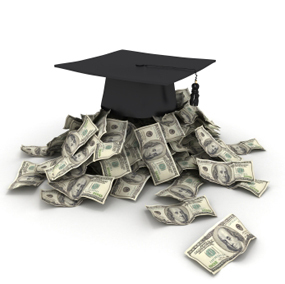 As this is an article about financial aid, the cost will most likely be at the top of your list. Online programs are substantially cheaper than face to face ones so you will find it a lot easier to afford it. Think of at least four priorities and compare the online options based n these priorities. Then call the school to find out all of the important information that you need to know. For example you should ask them about what kind of certificate or documentation is provided at the end of the course to document that you have in fact completed that course and are now able to practice as a CNA. Ask them about any discount options that they have and how much the overall cost will be. Ask about hidden costs, such as textbooks or enrollment fees. Find out how long the course will take. If you are not happy, select another school form your lust and try again. Once you have found a school that meets all of your personal requirements, apply and start studying for your CNA qualification. Obviously there are a number of scholarships and programs available in all states; the above is just an example of what you can benefit in just one of the many states that we have in this country. There are plenty of CNA financial aid options out there, you just need to take the time to look for them, compare them with each other, and then, when you think you have fund the right one, apply for the aid and wait and see whether or not your application is successful. Make your educational dreams a reality today.